Queen Elizabeth II's brooch collection is well stocked with pieces set with diamonds and pearls. But today's brooch, the Teck Emperor of Austria Brooch, also has a little something extra: a Habsburg imperial provenance. 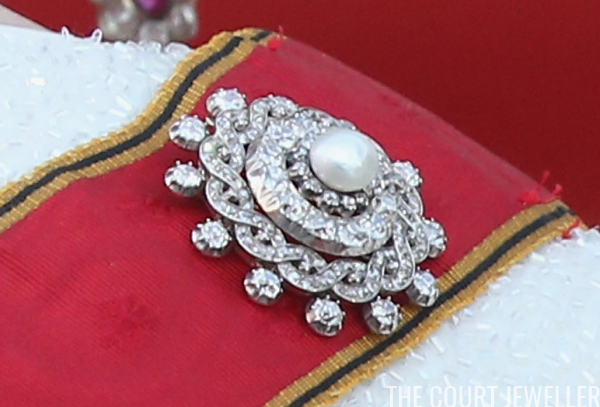 The brooch arrived in the British royal collection via Queen Mary. It originally belonged to her mother, Princess Mary Adelaide, Duchess of Teck. The jewel was given to Mary Adelaide in 1870 by one of the most significant royal figures of the nineteenth century: Emperor Franz Josef of Austria-Hungary. The occasion? 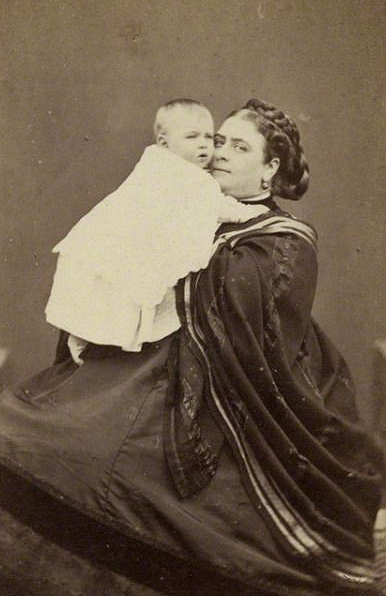 He served as a godparent to Mary Adelaide's third child, who had been christened Prince Francis Joseph Leopold Frederick of Teck in his godfather's honor. Why was Franz Josef the godfather of the third child of minor royals from the Württemberg and British royal families? It may have something to do with the fact that the Baby Francis's father, Prince Francis, Duke of Teck, was educated at an Austrian military academy and served with the Imperial Austrian Army in both the Austro-Sardinian and Austro-Prussian Wars. He retired from the Austrian army when he moved to England to marry Princess Mary Adelaide in 1866. In The Queen's Diamonds, Hugh Roberts speculates that the brooch may have been made in England, regardless of its Austrian imperial origins. 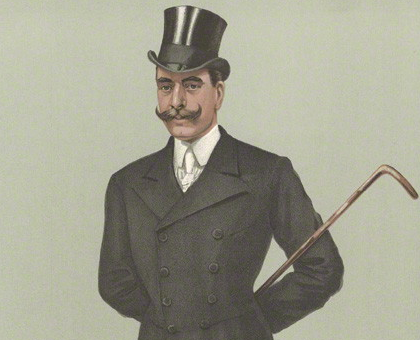 (He notes that "the Emperor of Austria was a Garrard client," though no evidence has been found that conclusively links the brooch to the firm.) Roberts describes the brooch as "a plaited circle, with pearl centre and 12 brilliants in cut-down collet settings around the edge, suspending a collet chain and three detachable baroque pearl pendants." The photograph above shows what the brooch looks like without the pendants and chain. 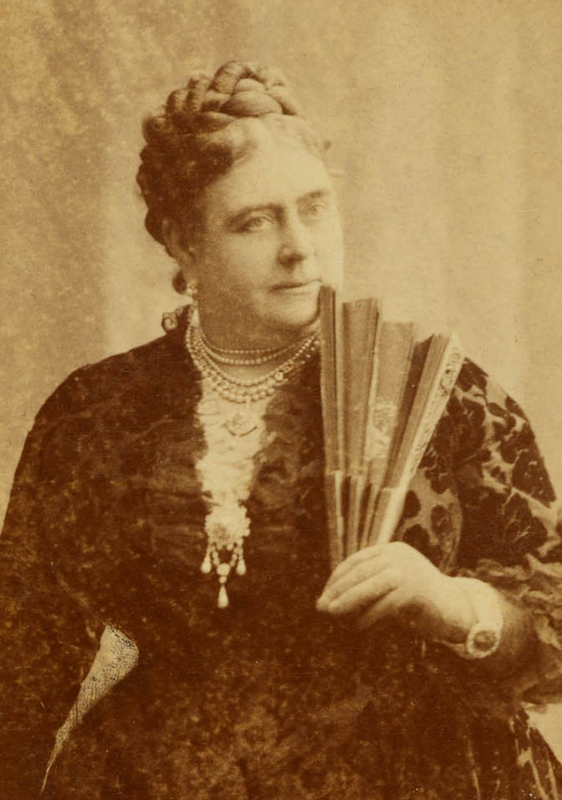 Mary Adelaide chose to wear the brooch on her bodice for a portrait by a German court photographer, Carl Jagerspacher, in the 1880s. 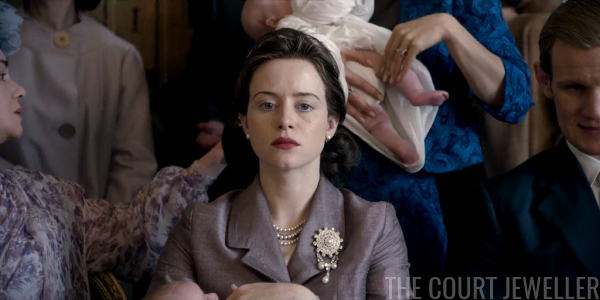 For this occasion she paired the brooch with other pieces of pearl jewelry. 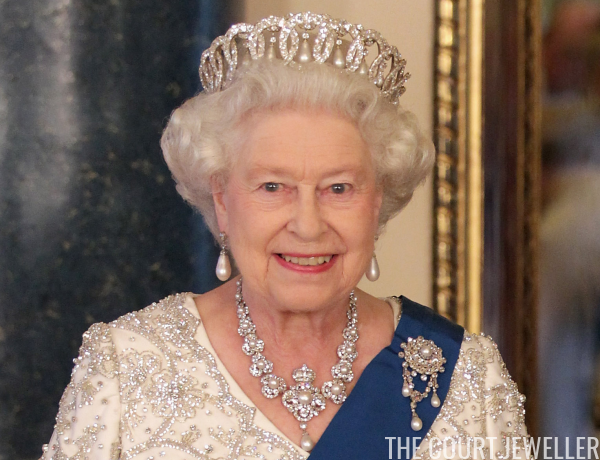 The present Queen inherited the brooch from Queen Mary in 1953, and she has worn in throughout her reign. 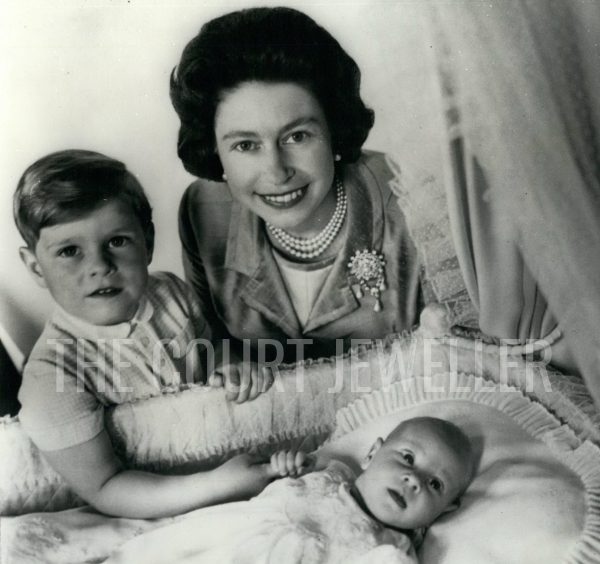 An important early appearance from the brooch came in 1964, when she wore it for the first official photographs of her fourth child, Prince Edward. The images were taken by Cecil Beaton in the Music Room at Buckingham Palace, and Prince Andrew is also featured, holding his baby brother's hand. 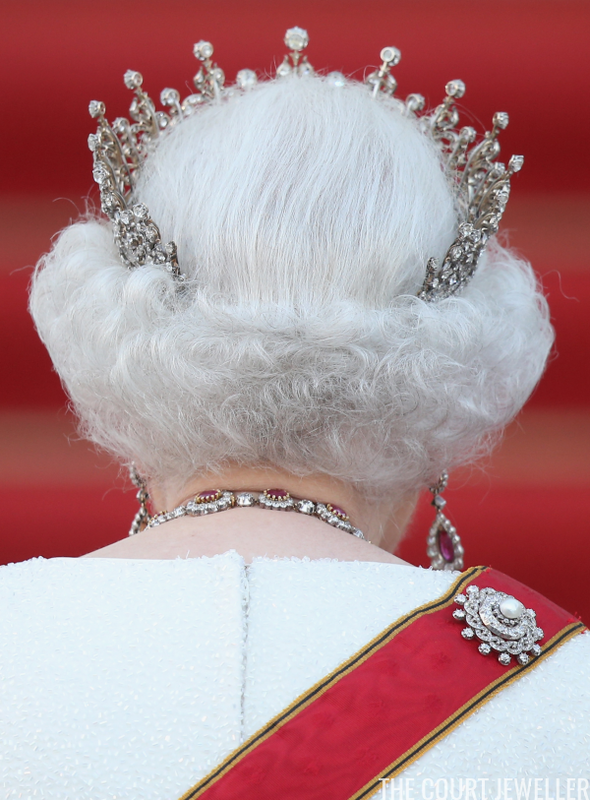 Today, the Queen often wears this grand brooch on appropriately grand occasions. In May 2011, she paired it with the pearl setting of the Vladimir Tiara, Queen Victoria's Golden Jubilee Necklace, and additional pearl and diamond jewels for a banquet during the American state visit. 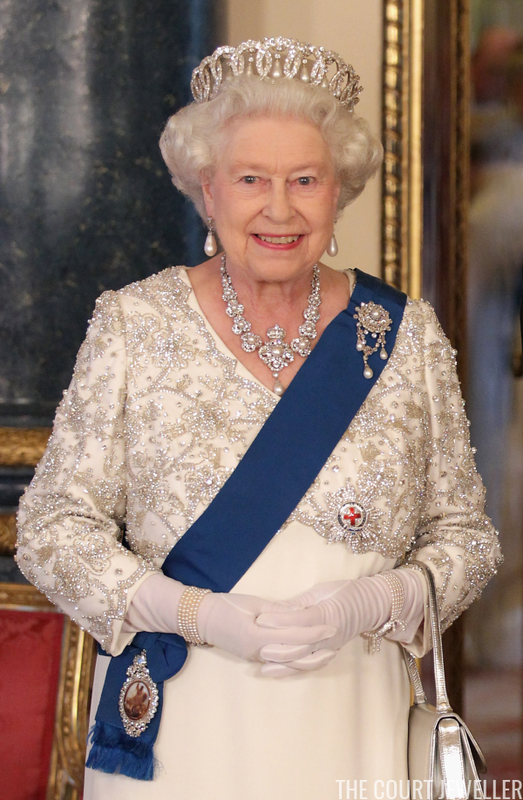 For a banquet during the 2015 state visit to Germany, the Queen used the brooch without its chain and pendants to secure the back of the sash of the Order of Merit. It was an appropriate choice; after all, the Tecks were originally members of the German House of Württemberg. She paired the brooch on this occasion with the Girls of Great Britain and Ireland Tiara and the Crown Ruby Suite.